I love spinach and berry salads. They’re so easy, yet seem so decadent. You don’t need dessert when you eat this salad with dinner. It’s simple, but beautiful and sweet. Heat small pan over medium heat and add almonds. Cook for about 5 minutes, stirring occasionally, or until almonds are golden brown. Wash strawberries and slice into bite-size wedges. 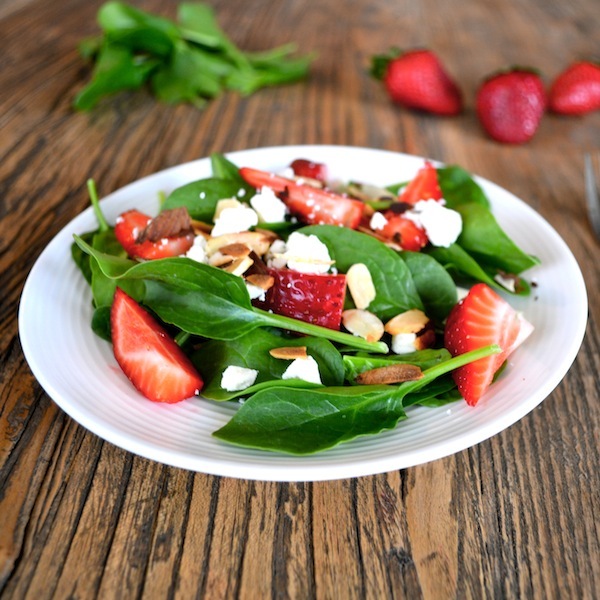 Combine spinach, strawberries, feta cheese, and almonds.